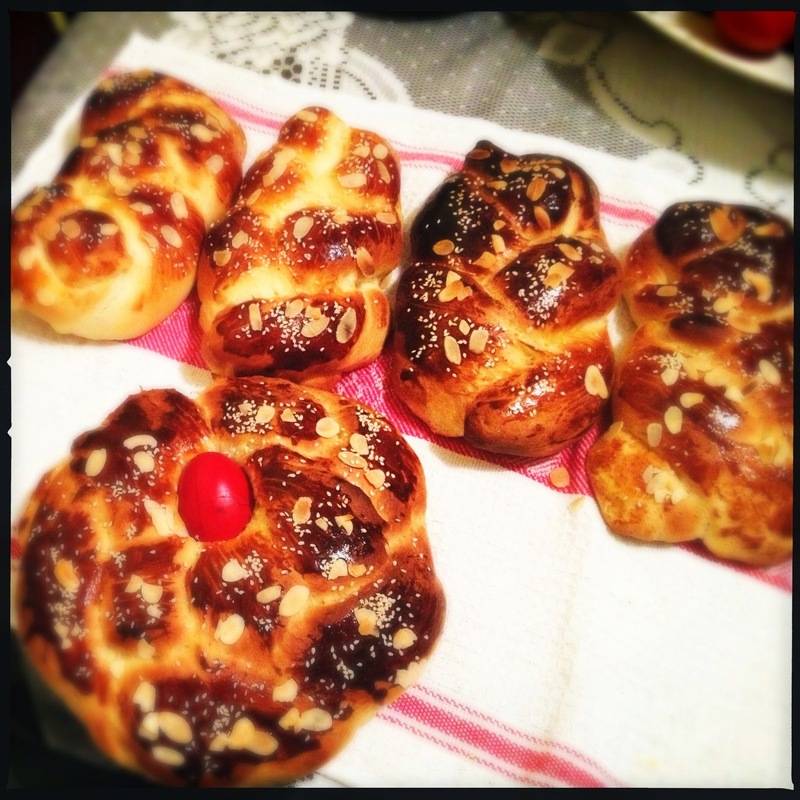 My koubara’s mum makes the BEST tsourekia. Most ingredients where measured the traditional Greek way. With a water glass. I weighed the water and it was exactly 300g, as was the milk. I must say I didn’t weigh the sugar. Combine 1 cup flour, yeast and tepid water. 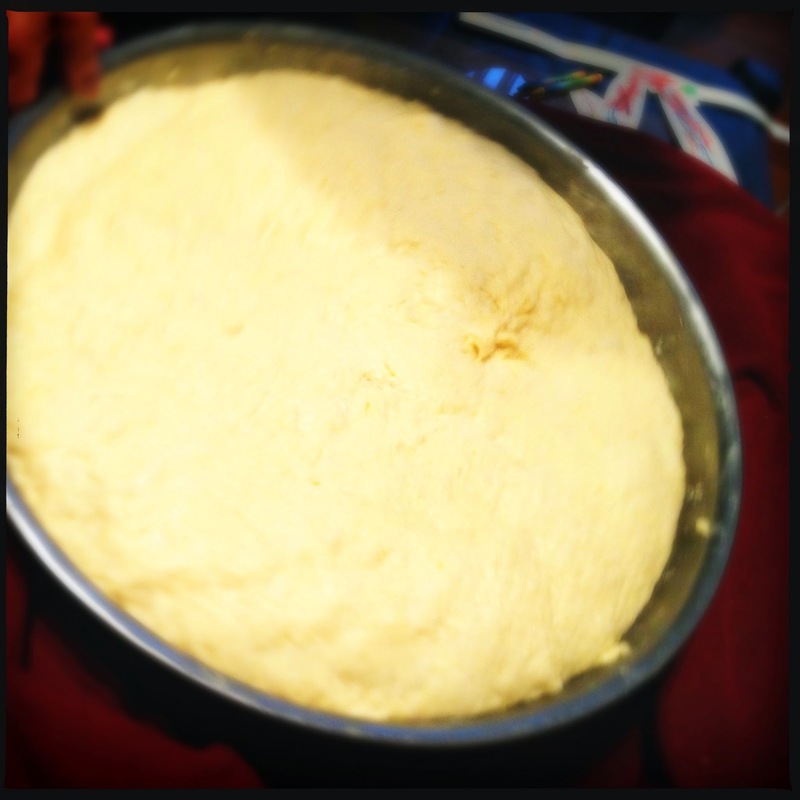 Knead well in a bowl, mark a cross over the dough, wrap in a blanket and leave aside until it doubles in size. At this stage yeast mixture and flour etc should be all incorporated. This is where the hard works begins. Make space in the bowl on the side, by pushing the dough to the other side, and pour the hot melted butter. Add the orange juice to make the mixture cooler to handle. Now handful at a time add the butter to the dough, knead well to incorporate and continue doing this until all butter and orange mixture is combined. Knead for at least 20 minutes. Muscle power is required!! Leave it in the bowl. Wrap it in a blanket in front of the heater and leave for 2 hours until doubled in size. Tradition has it to also cover it in a man’s jumper as that brings extra warmth. Koubara about to work her magic! My goddaughter Denise and her giagia. The tradition being passed on. Grab a handful of dough and roll into a rope. 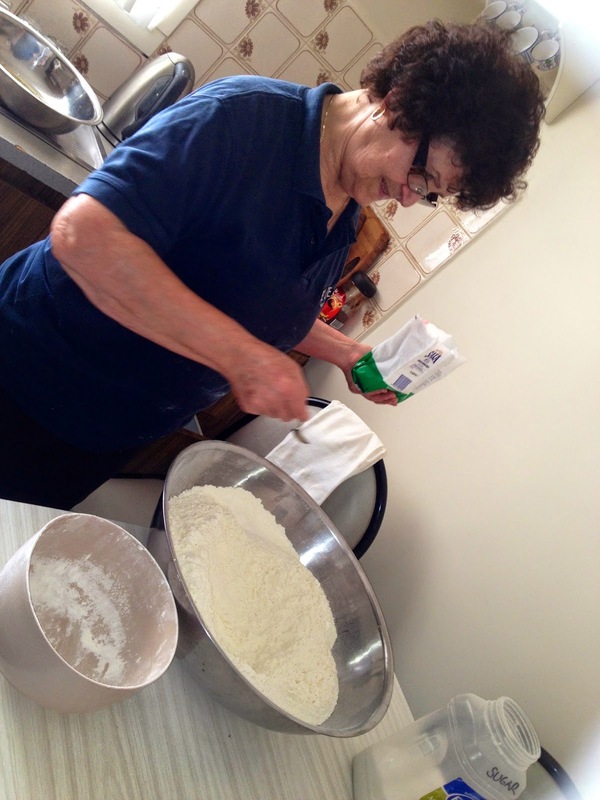 To ensure the tsoureki forms “strings” which is the making of a GREAT tsoureki, as you are rolling ensure that your hands move in opposite directions. Usually we move both our hands forwards and then back simultaneously. In this case move one hand forward and the other back. This twists the rope and creates the strings. Place the shaped tsourekia on grease paper proof lined tray and leave in a warm environment until doubled. 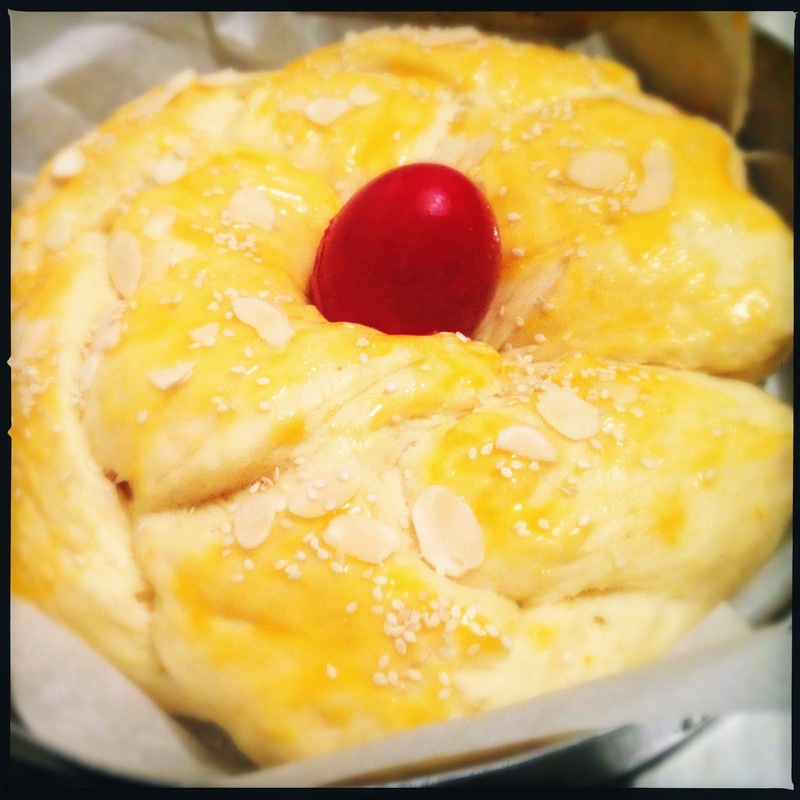 Once the tsourekia have doubled, baste with the beaten egg yolks, VERY GENTLY OR THEY WILL COLLAPSE, sprinkle with the almonds and sesame seeds and add the red easter egg. This step is extra important. Be very gentle as too much pressure will deflate the dough. Bake for 20-25 minutes in a 170º to 180º oven. THANK YOU KOUBARA FOR THIS MASTERPIECE! Greek Easter lamb on the spit!